In a somewhat bizarre turn of events, Tesla and the owner of a Model X involved in a crash a few weeks ago have been involved in a war of words as of late. Last week, a man known as Mr. Pang wrote an open letter to Tesla wherein he blamed the company’s Autopilot software for causing his Model X to spontaneously swerve into a guard rail and ultimately cause him to get into a serious accident. 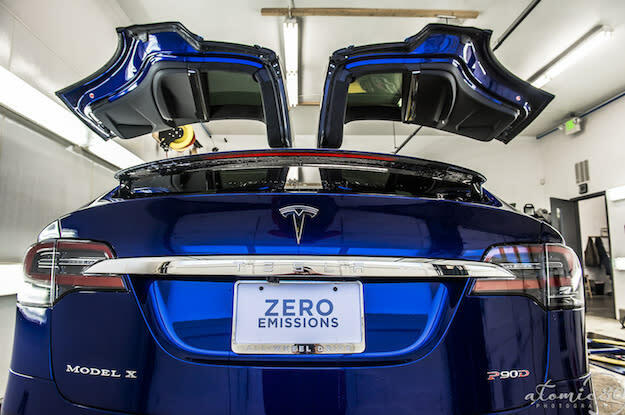 Immediately following the accident, Tesla issued a statement indicating that Autopilot was not used appropriately at the time of the crash. Mr. Pang, however, effectively said that Tesla was lying and that the company never even tried to contact him in the aftermath of the crash. What’s more, Pang went so far as to categorize Tesla’s Autopilot software as a beta product that should have never been released in the first place. Taking things a bit further, Pang also added that Tesla drivers are unwitting “lab rats” being taken advantage of for Tesla’s own benefit. Never one to shy away from the spotlight or a public controversy, Tesla over the weekend issued a response wherein it laid blame, once again, on the driver. We were sorry to hear about your accident, but we were very pleased to learn both you and your friend were ok when we spoke through your translator on the morning of the crash (July 9). On Monday immediately following the crash (July 11), we found a member of the Tesla team fluent in Mandarin and called to follow up. When we were able to make contact with your wife the following day, we expressed our concern and gathered more information regarding the incident. We have since made multiple attempts (one Wednesday, one Thursday, and one Friday) to reach you to discuss the incident, review detailed logs, and address any further concerns and have not received a call back. And now we wait for an inevitable response from Mr. Pang.